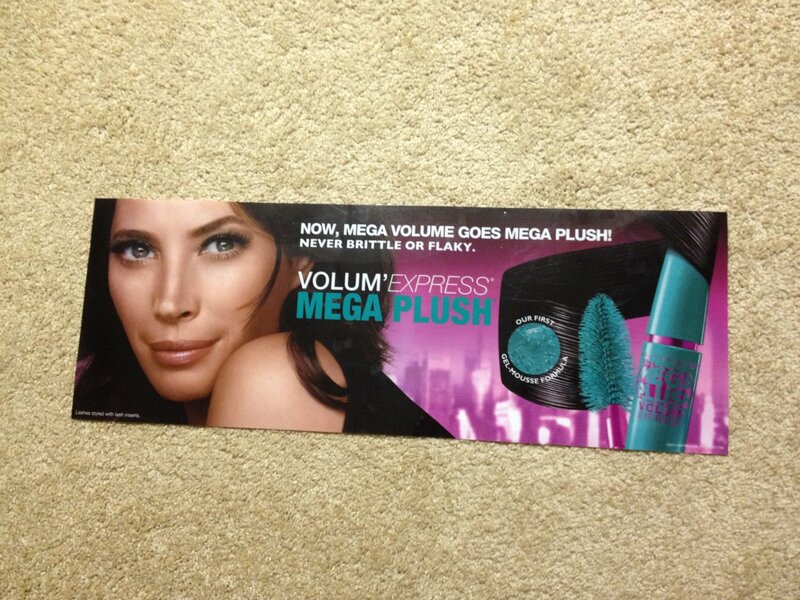 Maybelline Volum'Express Mega Plush Mascara product display poster. This is a glossy plastic poster that measures 23" long by 8 1/2" high. It will be rolled up for shipping. It has previously been used in a retail environment and has been wiped clean. MAC Cosmetics Pigment Eye Shadow Powder Later.